Starting off the New Year with a cover feature seems just about right. After a killer, full-on joyous holiday season extravaganza, I am thrilled to continue the celebration of the new year with a Lucky Magazine cover feature! 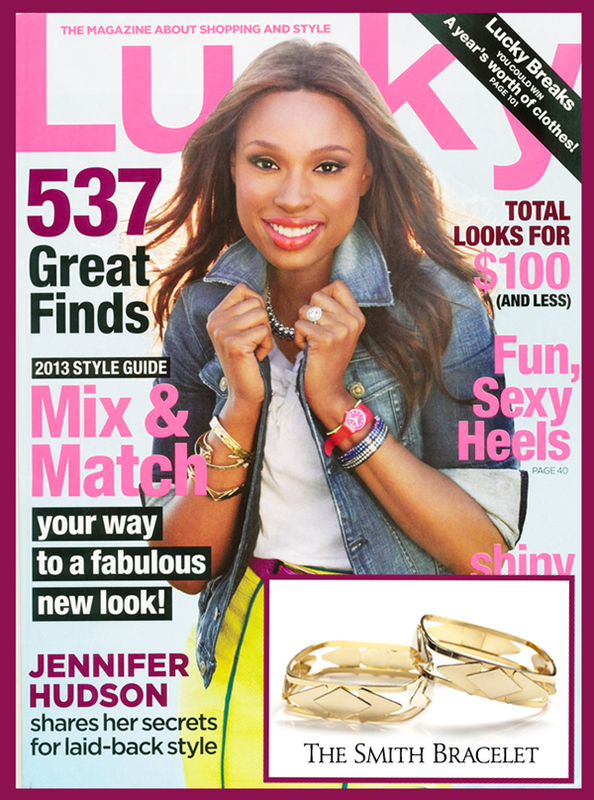 Jennifer Hudson rocks the Smith Bracelet on the new issue, and I must say – she wears it well! Sign up to enter JDS jewelry giveaways and to receive sale/event listings.